By my mid-20s, I had a wedding nearly every weekend, from June to October. 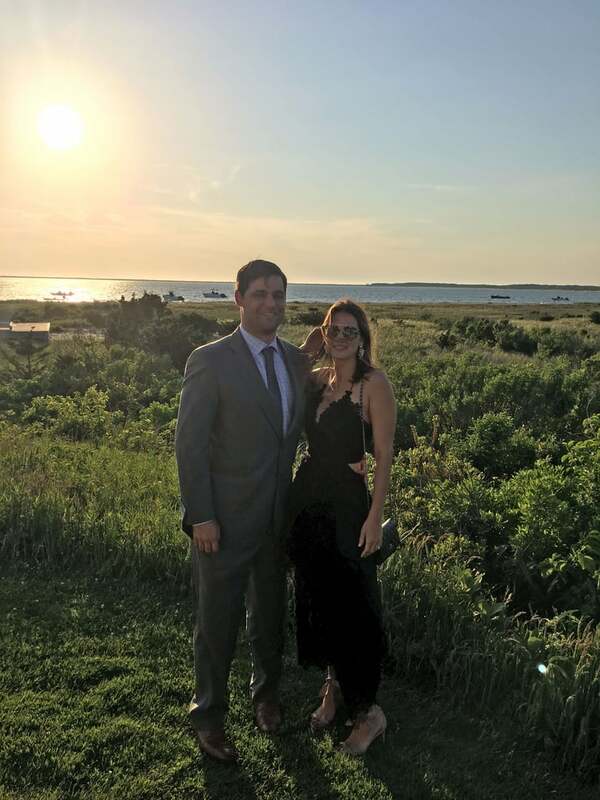 I'm 31 and it's only just begun to slow, so you can imagine the many wedding guest dresses I've tried — some successfully purchased and worn again; others relegated to the back of my closet after one lap around the dance floor. Sometime in my late 20s, I wised up to the whole thing — a dress that looked good at just one event one time wasn't something my older, wiser self was want to do anymore. 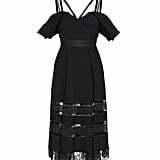 That said, the thought of a "practical cocktail dress" I could change up with accessories sounded like a snooze fest to this fashion girl. I wanted a dress that was unique and made me feel special (it's called a special occasion for a reason), but still one I could rework with shoes and jewels season after season. The unicorn of dresses, maybe . . . but maybe not. Enter Self-Portrait, a British label that sky-rocketed to popularity in the states nearly three years ago. 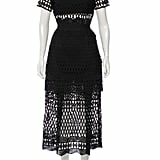 I fell instantly for its romantic lineup of dresses and the guipure lace and eyelet that have become trademarks of the brand. 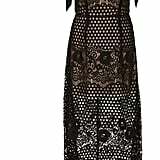 Almost two years ago now, I purchased a black eyelet dress with a strappy back and pretty tiers that falls right to my ankles. It seemed the perfect dress for a Summer wedding on my calendar that called for a "chic cocktail" dress code, whatever that means. I wore it to that outdoor wedding with a pair of lace-up flats — and since have worn it to at least three more weddings, a black-tie event, and, actually, Coachella. I changed it up with espadrilles, metallic sandals, neutral heels, chandelier earrings, a wicker basket clutch — you name it. Regardless of how I reworked it, it seemed to go easily with everything, and, bonus points: still earned complements from my friends even after they'd seen me wear it before. I've come to rely on it as my secret-weapon dress. Even when the thought of something new thrills me, I've returned again and again to this dress for three big reasons. First, it's entirely flattering for my body — a detail no one should skimp on when finding a dress they'll love. Secondly, it has the perfect fabric and classic color that make it both attention-getting and versatile. The eyelet detail is memorable but not so special that it's specific to only one occasion or time of year, say like metallic or jacquard finishes. And while eyelet is especially perfect for Summer, the fact that it's black means it's still a great option as we head into Fall. Lastly, it's an ideal length. It's long enough that's it's formal or black-tie appropriate, but not so long that you can't change it up and wear it with flat sandals for something more casual. Suffice it to say, it's my dream dress, taking the stress out of wedding guest dressing and beyond — and despite the many times I've worn (and documented) the look, I don't intend on hanging it up anytime soon. In the fashion world, that's what we call true love. 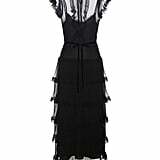 Sadly, the dress is no longer available, but I've done some digging to find a few that meet the same requirements.